You should never attempt a chiller repair on your own. 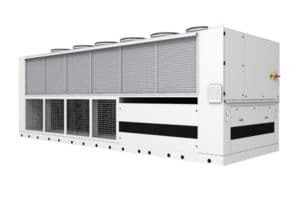 Chillers contain complicated components and users that are not familiar with many of the parts might experience difficulty. Moreover, if you are not sure about what parts you need, you may end up spending more money than necessary. If you are in need of repair for your commercial or industrial chiller system. Alpha Energy Solutions can help. In addition to providing top-quality service, our team consists of highly-skilled technicians. Additionally, Alpha Energy Solutions technicians are available 24/7 to provide repair service for our clients. Honestly, there is no job that is too big or small for our team. Field technicians at Alpha Energy Solutions have over 100 years of chiller repair service. Along with great service, we also provide retrofitting and replacement parts. In fact, we deal with all major brands so you can get the repair parts that you need quickly. We understand that you need your unit to run well because you need to keep productivity high and operations moving. As a result, Alpha Energy Solutions offers year-round maintenance to our commercial and industrial clients. Custom preventative maintenance plans are also available. Remember, troubleshooting chiller repair issues is not always the best option. In fact, repairs can be expensive if you don’t know what you are doing. Before attempting a unit repair, contact a service professional at Alpha Energy Solutions for help. Surely you want to protect your investment. Consulting with a trained professional regarding your chiller will help to save money and reduce mechanical failures. In addition, unexpected malfunctions might quickly turn into emergency situations if not handled properly. Protect your commercial and industrial facilities with quality service from Alpha Energy Solutions. In addition to repairs, our technicians can provide many other services including seasonal inspections, seasonal adjustments, and monitoring.